In 2014 I filmed myself answering a list of questions once every month. One of the questions I asked myself was "What books on your shelf are begging to be read?" The above infographic shows the breakdown of the books I did read during that year, the books I mentioned wanting to read but never got to (some I have read since and some are still in my TBR pile), and the book that I eventually decided to not bother picking back up again. Will I eventually? I'm not sure. For those of you who don't know, 'TBR' stands for 'To Be Read.' Not to be mistaken with 'PBR' which is, hipster jokes aside, my favorite cheap beer. 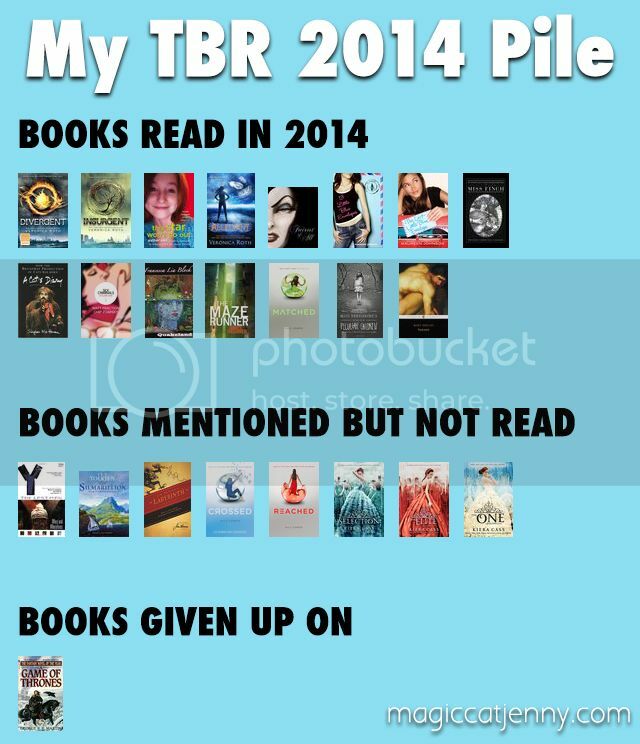 Watch the video below to see my evolution of my TBR pile in 2014.